Domingo A. Moreira, Sr. left his hometown in Cuba to pursue opportunity abroad over five decades ago. After relocating to Guatemala, the Moreira family began a new business that would later shape a family legacy: quality shrimp production. After graduating from college in 1967, Moreira’s son, Domingo R., joined his father in the already dynamic family business. Domingo R. launched new headquarters in Miami, FL to expand distribution. The new U.S. location allowed the Moreira’s to import from Guatemala and other countries around the world. Domingo A. Moreira, Jr, third-generation Moreira grandson, entered the family tradition after graduating from Harvard Business School in 1999. Domingo’s outstanding education and fresh perspective carried groundbreaking ideas that continue to drive the business forward today. Today, Southern Fisheries, LLC, is a trusted and reliable source of high quality shrimp from around the world. As producers and distributors, we sustain superior products coupled with caring customer service traditions. 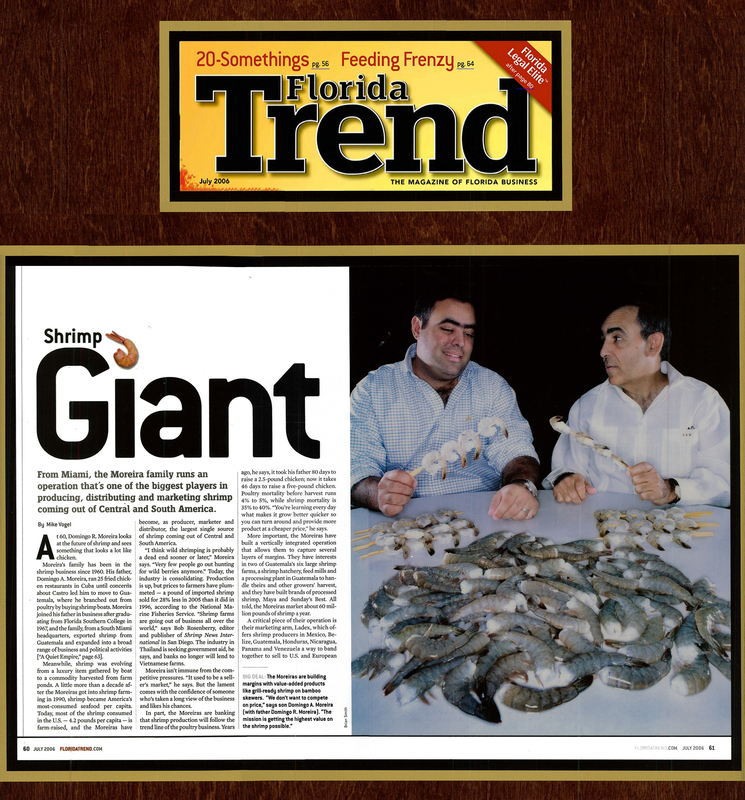 Southern Fisheries and the Moreira’s continue to modernize the shrimp market. We build our business with value-add products, including ready-to-grill skewers and coconut-breaded varieties, while providing the finest fresh shrimp to some of the largest consumers across the globe. Our slogan “True to Size, True to Our Clients,” reflects our family’s promise and commitment to each customer. We stand behind our shrimp and invite you to personally experience the Southern Fisheries distinction.